We’d love your help. Let us know what’s wrong with this preview of True Success by Tom Morris. Tom Morris is the Notre Dame philosophy professor whose classes have become a campus legend and whose nationwide speaking engagements have brought a new ethics of excellence to the business world. Now he reveals in a wise and joyous book how the pursuit of true success leads to genuine achievement--and genuine happiness. He offers a framework for success that he calls "The Tom Morris is the Notre Dame philosophy professor whose classes have become a campus legend and whose nationwide speaking engagements have brought a new ethics of excellence to the business world. Now he reveals in a wise and joyous book how the pursuit of true success leads to genuine achievement--and genuine happiness. He offers a framework for success that he calls "The 7 Cs"--seven basic concepts that are essential to meeting life's challenges. And he creates realistic guidelines for putting our beliefs into practice and making our goals become realities. To ask other readers questions about True Success, please sign up. Tom Morris has accomplished something remarkable in this book. He has made the thinking of the history's greatest minds much more accessible for the lay person. Instead of surrounding philosophy with elitist airs, he focuses on how important it is to apply the great thinking of the past to our everyday lives. 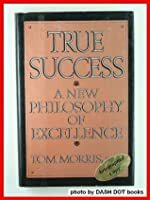 Morris begins by debunking the popular myth of success, by weaving the thoughts of Socrates, Ralph Waldo Emerson, and Aristotle to name a few cleanly into the text he shows quite convincingl Tom Morris has accomplished something remarkable in this book. He has made the thinking of the history's greatest minds much more accessible for the lay person. Instead of surrounding philosophy with elitist airs, he focuses on how important it is to apply the great thinking of the past to our everyday lives. Morris begins by debunking the popular myth of success, by weaving the thoughts of Socrates, Ralph Waldo Emerson, and Aristotle to name a few cleanly into the text he shows quite convincingly that becoming our best selves is the surest path to lasting success. His view is also quite practical - he recognizes that the measure of your life is in what you do, or what you think. Also, he understands that money is a very necessary part of life; it's just not a satisfying goal in and of itself. Morris' 7Cs framework is a useful guide to pursuing success. As he points out the path to success isn't always easy. The 7Cs framework is a useful map, especially when you have to navigate the rough spots. At the end of the day one might agree or disagree with some of the ideas presented in the book. However, Mr. Morris should be given all the credit for his abnormal analytical skills and strong ability in combining philosophy, humor and life experience all in one book. Enjoy! 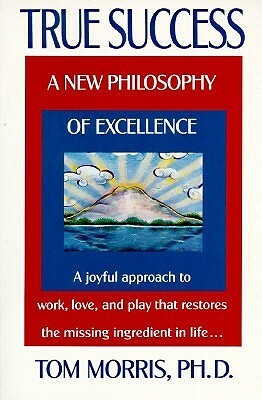 I continue to reread portions of this book relevant for work, love, and play.